Jon Robins is an artist working in a variety of mediums, with a studio on the South Coast of England, that overlooks the Isle of Wight. Jon didn’t have a website to show his work on, and so approached M35 Web Design via word of mouth recommendation. Jon wanted something professional, that he could also update himself. M35 Web Design came up with ‘the look’ and Jon quickly provided the information needed in order to build the new site. 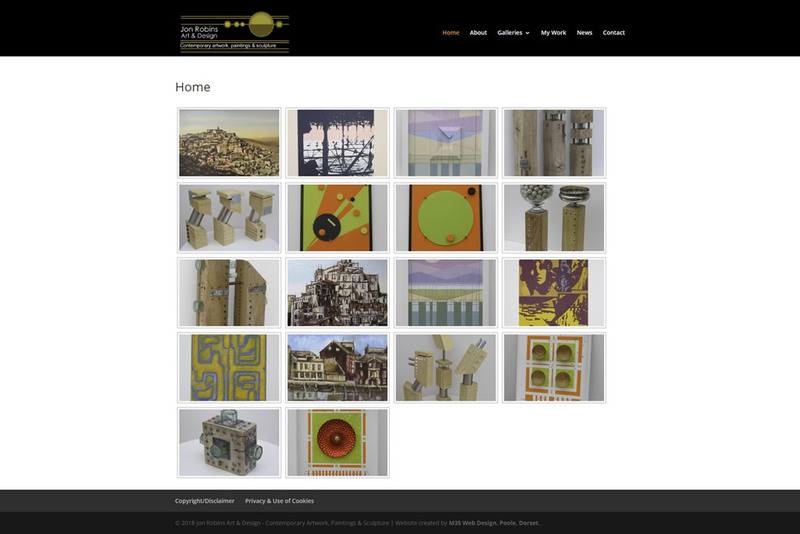 In conjunction with Jon, M35 Web Design does regular updates to the Jon Robins Art website.